Users access the Beyonic system and can initiate transfer requests, approve transfers and track previously made transfers. Adding additional users allows for payments to be made by multiple people, but you should never give user-level access to someone who should not be able to initiate transfers. Click on “Users” in the task bar at the top of the screen. This will take you the the list of current users that have access to your account. 3. Click on “Add” to the right of the search bar. 4. This will take you to the form that allows you to add users. 5. 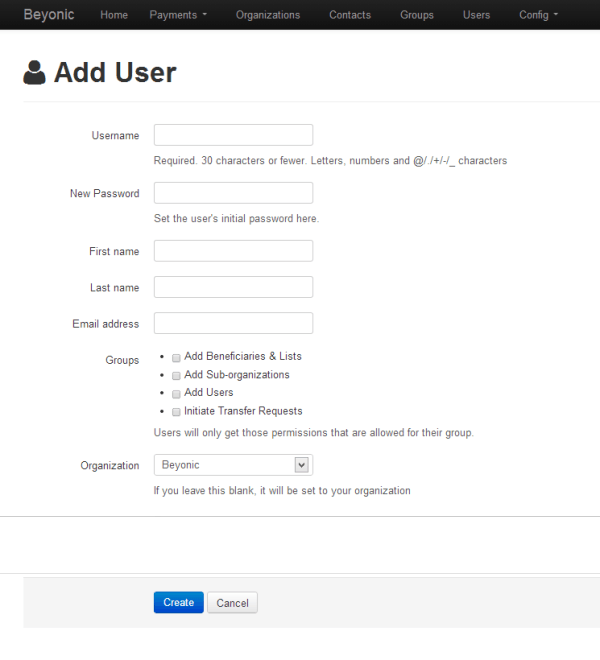 Select the username and password for the new user. They can change this at another time. 6. Enter their first name, last name and e-mail address. 7. 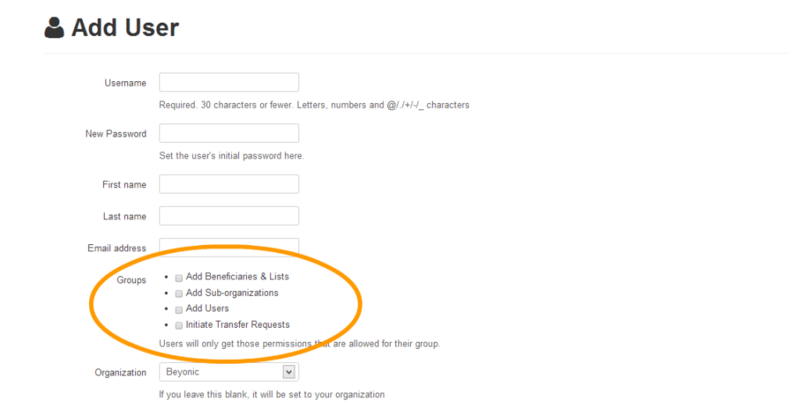 The checkboxes near “Groups” allow you to define the permissions and control a new user has in the system. Here is more information on permissions. 9. Check the subscribe box if this user should receive maintenance schedules from the Beyonic team.